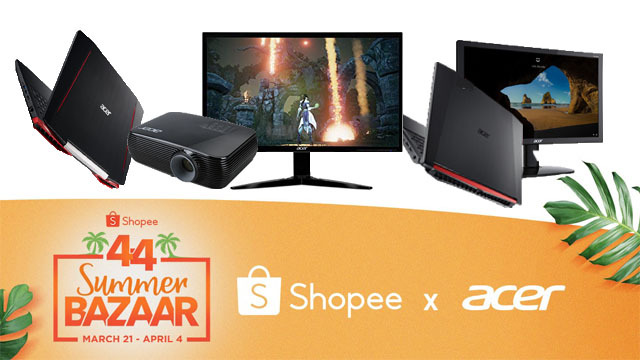 Home / acer / laptop / peripherals / sale / shopee / Acer joins Shopee 4.4 Summer Bazaar. Acer joins Shopee 4.4 Summer Bazaar. “Acer fans can look forward to a lot of exciting deals for Shopee's 4.4 Summer Bazaar and even more in the coming months as Acer and Shopee commit to working together more so we can give shoppers only the best deals on laptops, monitors, projectors and accessories,” said Sue Ong-Lim, Acer Philippines Sales and Marketing Director.